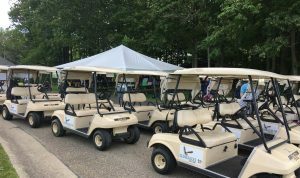 Graphics can be used not only to create a uniformed fleet appearance, but also to promote a city’s brand or get the word out about its new services or events. In fact, it has never been easier to do so without breaking the bank. Visual Marking Systems has been in the commercial printing business for more than 50 years and prides itself as the one-stop shop for wide-format graphics printing solutions. 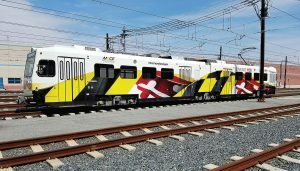 The company manufactures labels and decals for the public transportation and equipment manufacturing industries and, more recently, fleet graphics. Its fleet graphics division launched approximately 20 years ago when it began a partnership with Enterprise Rent-A-Car. The business really took off once it exposed a need for commercial decal kitting within corporate fleets. Nowadays, VMS offers a wide array of solutions that will cover entire fleets whether that means a handful of vehicles or more than 1,000. 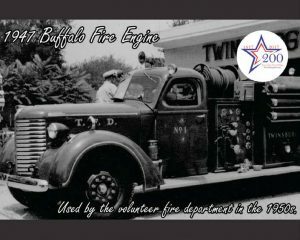 The company has also worked with a variety of organizations that maintain fleets, including municipal fleets — everything from public safety to parks and recreation. Michelle Willmott, director of marketing with VMS, said most municipalities will provide the artwork city offi cials want to use, often city seals. However, Willmott said, “If they don’t have a design, we can help them get creative.” VMS has a full design team who can help cities arrive at a design they like. They often find smaller municipalities may not have high-quality artwork. 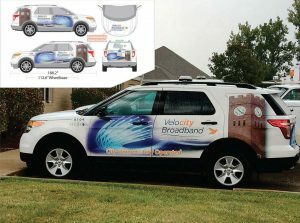 “VMS can work to recreate a city seal or service department logo so the final printed graphics end up looking really sharp on the side of the vehicle.” Willmott recommends using vector artwork or a high-resolution bitmap image since the graphics will likely be printed in a larger than normal format. Additionally, the company offers a nationwide network of installers certified by the Professional Decal Application Alliance. “VMS is PDAA master certifi ed, and we only work with other PDAA installers,” Willmott added, noting PDAA certified installers follow the same guidelines to ensure quality. The company has also worked with upfitters or can send guidelines and layout kits directly to cities with their own fleet service employees who can install graphics and decals in-house. Graphics are all vinyl — specifically 3M or Avery — and are finished with an overlaminate layer, ensuring they will last seven to 10 years. There is a five-year warranty on the material and a one-year warranty on installation. Reflective material is also available, and Fontana stated public safety departments will often put it on the rear of their vehicles for safety purposes. “Or cities will use it on their seal to make it really pop,” he added, noting it can be a positive way to draw attention to the city and its services. Of course, VMS offers other ways to promote events, programming or services beyond fleet graphics. It recently created signage and banners for the city of Twinsburg, Ohio, which celebrated its bicentennial in 2017. For that event, Wilmott said, “We created decals for the sidewalks around the town square that highlighted old-time photos with captions.” The decals featured images of historical places, events and prominent leaders in the community and attendees at the community’s Founder’s Day event enjoyed taking a stroll down memory lane.